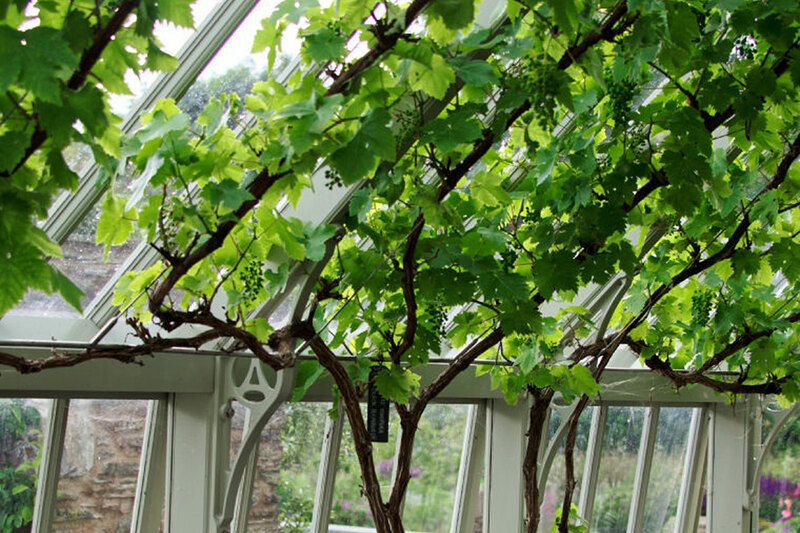 Bespoke fruit supports and vine wires for the greenhouse offer structure and containment to a variety of climbing plants and trees. Working with you, we determine your growing needs and the areas in which you want to train fruits. The wires and supports are custom-made to your requirements and can therefore be bespoke in size. A minimum of 10” is kept between the wires and the glazing to prevent the plants from making direct contact with the glass. The wires are secured with a tension bolt and supported by stainless steel frames or rods. This secures their position and keeps the wire taught and strong. We will analyze the most suitable solution for your climbing flowering plants, your fruit and vegetables vines and trees. We advise a rigid support with tensioned wires for training plants up to the roof space. 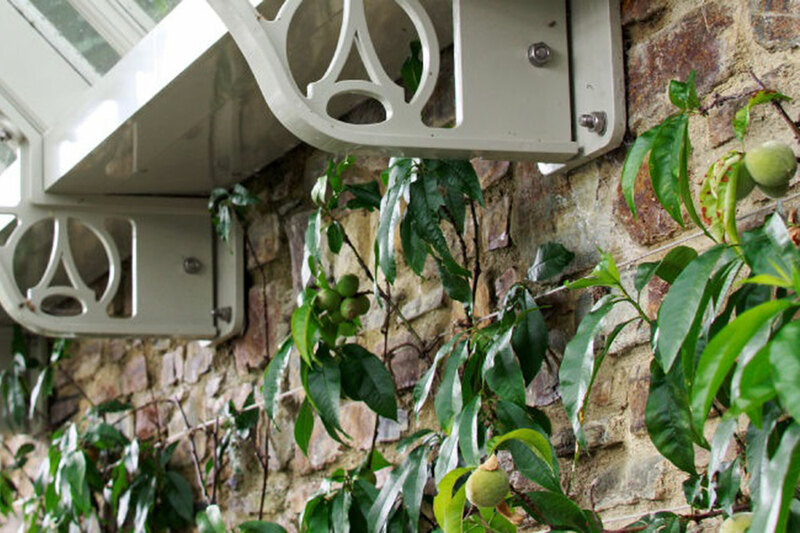 Alternatively, we can provide a trellis style support that leads the plant’s growth up and across the rear-well in a lean-to greenhouse. The supports will ensure the plant has structure whilst encouraging growth.